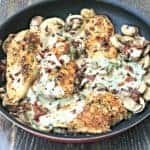 Low-Carb Keto Bacon Mushroom Chicken in Cream Sauce with Thyme is a savory low-carb dish that is quick and easy to make and perfect for weeknight dinners. 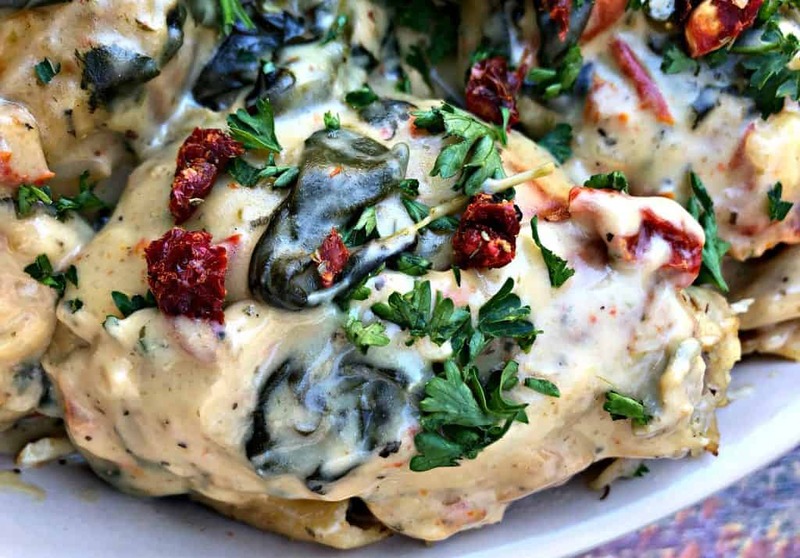 This dish is drizzled with decadent cream sauce and only has 2 grams of net carbs per serving! 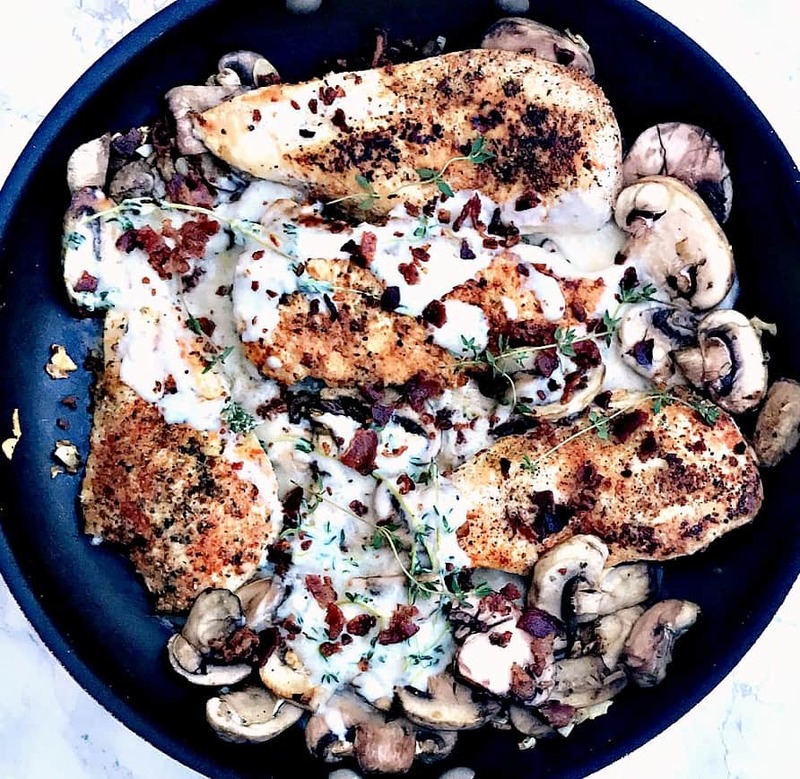 This bacon mushroom chicken in cream sauce recipe makes a wonderful meal prep option. Who wants to meal prep the same, boring chicken breast week after week? I certainly do not. This is the perfect way to jazz up your standard chicken breasts and is low in carbs! 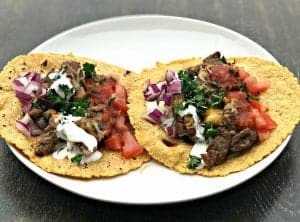 When I cook food in advance for the week I usually try to stick with chicken dishes that are paired with a cream sauce, stuffed with yummy ingredients, or includes a separate salsa type topping. This helps to keep the leftover chicken from drying out. Cream sauces work great. I often find that when I reheat a dish with a cream sauce, it tastes better than it did the first day. You could substitute nitrate-free bacon for turkey bacon. You would save 15 calories and 1 gram of fat per serving. 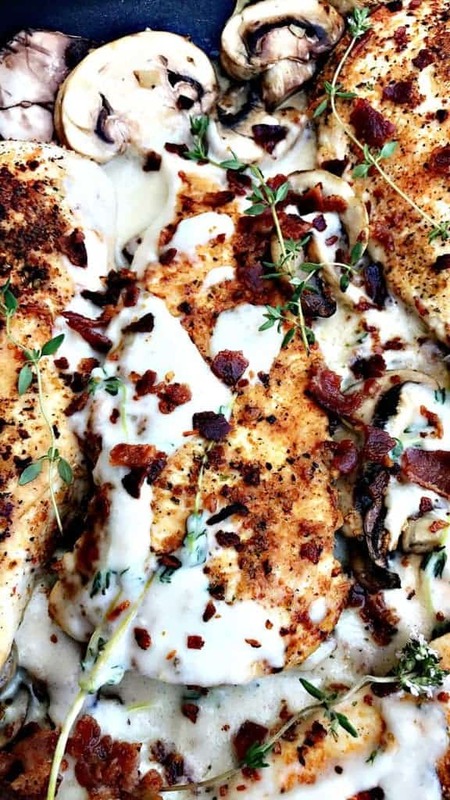 One serving = 4 ounces of chicken with cream sauce and bacon. For me, this trade-off is negligible. I am often asked why I do not use turkey bacon. This is why! Looking for a breakfast option? 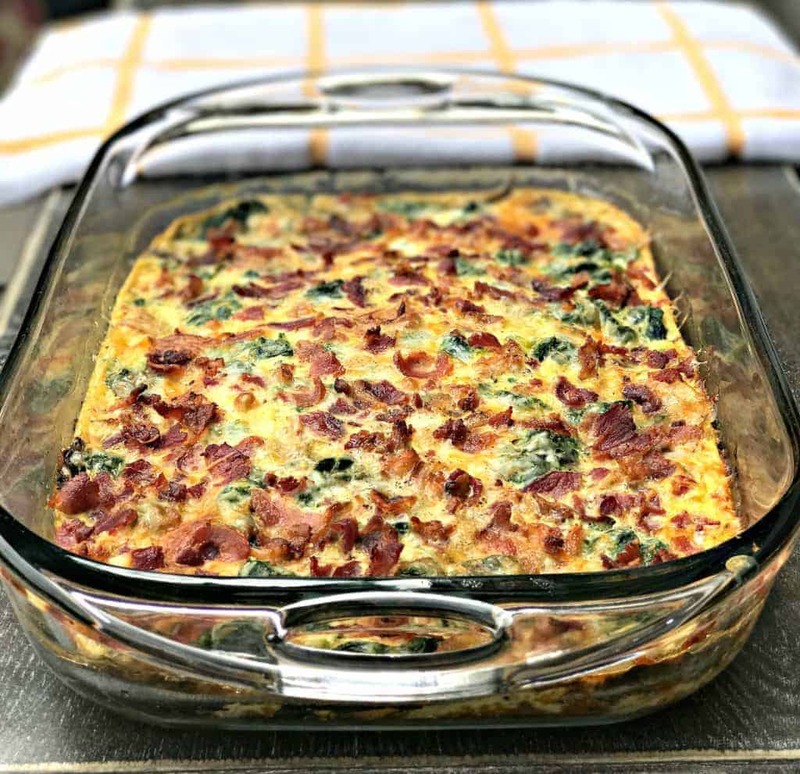 Try my Low Carb Keto Bacon, Egg, and Spinach Breakfast Casserole. 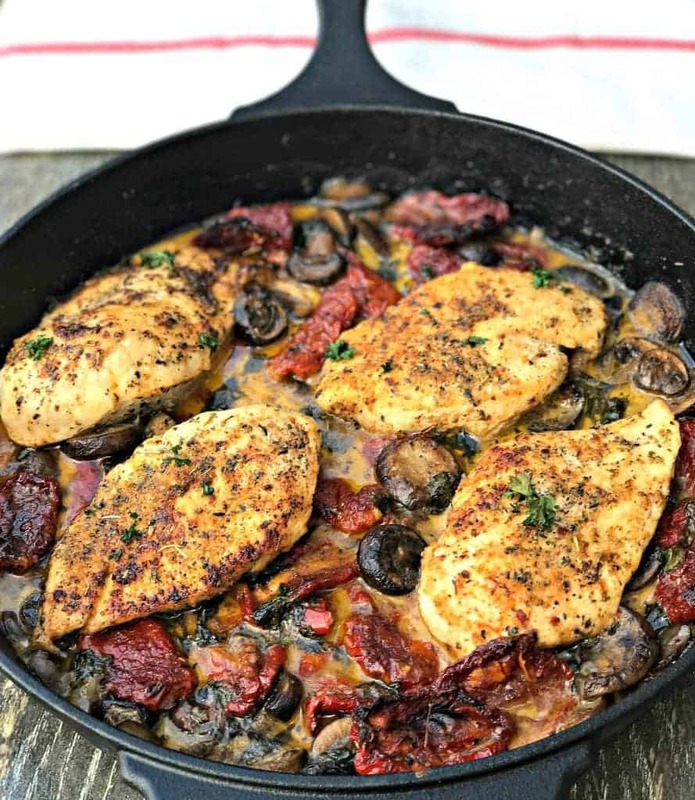 You may also like my Keto Chicken with Sundried Tomatoes and Mushrooms! 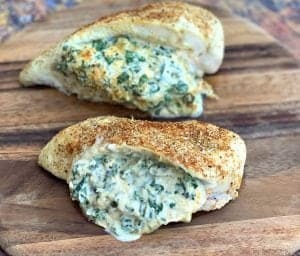 Check out Keto Tuscan Garlic Chicken Thighs! 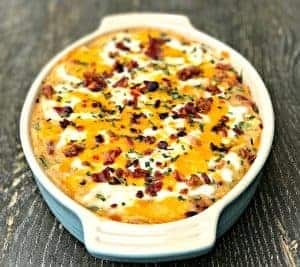 Low-Carb Bacon Mushroom Chicken in Cream Sauce with Thyme is a savory low-carb dish drenched in cream sauce with crunchy bacon that is quick and easy to make and perfect for weeknight dinners. Season the chicken breasts with the seasonings. Add one tablespoon of the oil to a skillet over medium-high heat. Pan sear each side of the chicken for 3-4 minutes until brown. Set the chicken aside on a plate. Add the mushrooms and garlic to the skillet and saute until soft. Add the butter to a saucepan. Stir and allow it to melt. When melted add the flour and stir until fully combined. Add the almond milk and heavy cream and stir. Add the cream sauce to the skillet with the bacon and thyme. Salt and pepper to taste. Bring to a simmer until the sauce starts to thicken. Add the chicken back to the skillet and heat for another minute. If the sauce does not thicken to your liking add additional flour or xanthan gum. Recipe looks delicious. I’ve really fallen off the meal prep bandwagon but with recipes like this I could totally get inspired again 🙂 thanks for sharing! 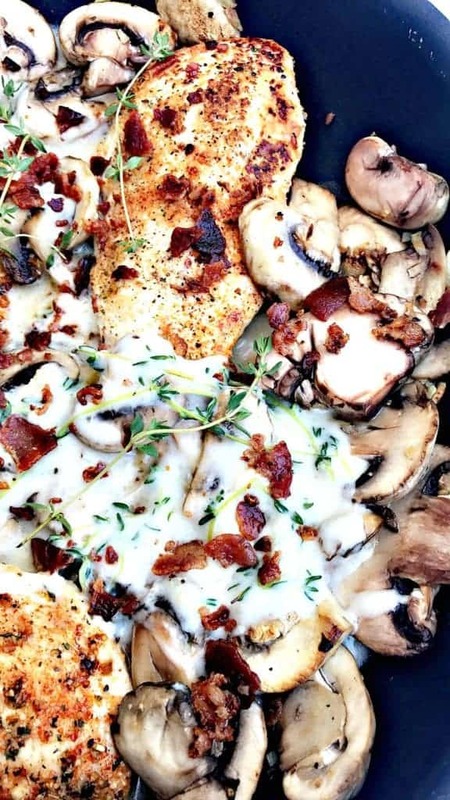 Chicken, Mushrooms and Bacon, sounds like perfection to me! This is my kinda dinner, I love all the flavours here, bacon and thyme yum! This dinner looks so comforting, perfect for a cold rainy night! 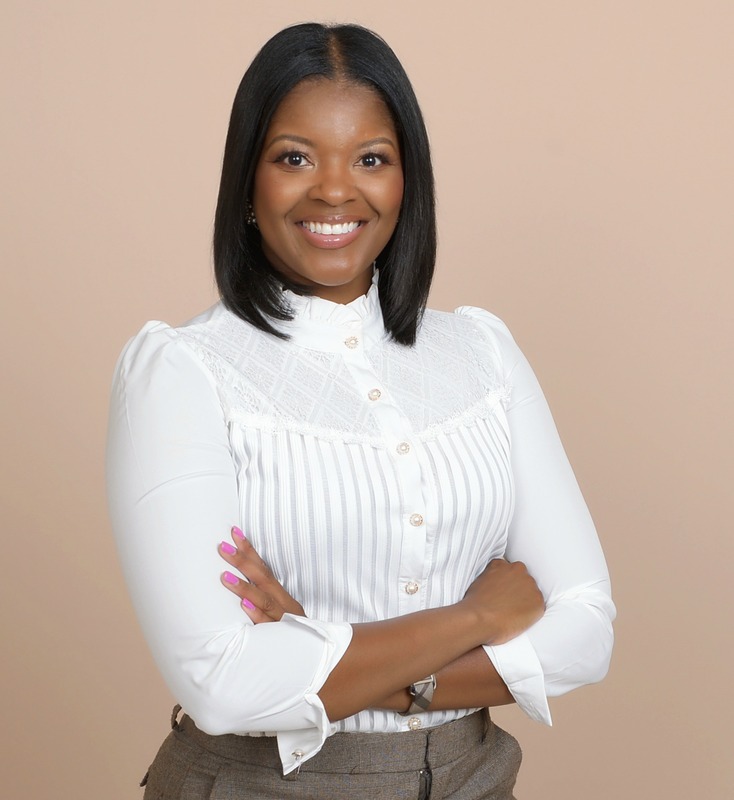 Lovin this recipe, girl! Can’t wait to try this. The addition of thyme is perfect. LOMG, YUM! Love all the flavors in this dish! You got all my favorites, bacon, mushrooms and cream sauce! 🙂 Looks FAB! Now this is just a big plate of comfort food. Bacon and mushrooms go so well together. I would love to eat this with some pasta. I love thyme, it adds such a wonderful flavours and woody aroma. Nice recipe. 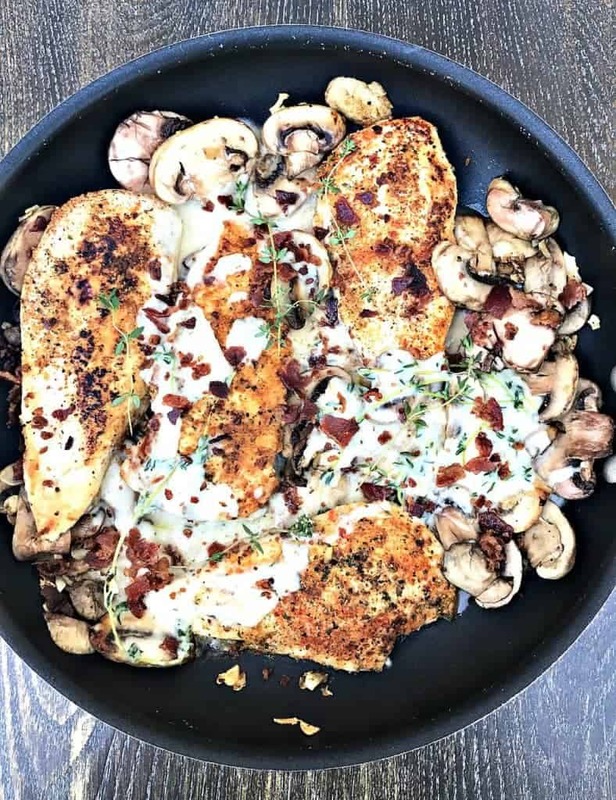 I’m always looking for ways to jazz up chicken breast, so thanks for sharing this recipe! The cream sauce, mushrooms and bacon make this an unforgettable entree!!! That cream sauce sounds amazing! And I’m with you, real bacon all the way! Real bacon always!! That cream sauce is a great idea! Hi there! It’s posted at the very top of the page. Sorry to be so blunt, but this recipe was a bust for me. Hubby and I both disliked it. The chicken needs way longer to cook and the sauce never thickened up, it just remained runny. I followed the instructions exactly. 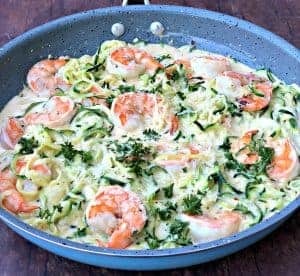 Did you use a cast iron skillet? When sauce doesn’t thicken up to your liking, additional flour is needed. I typically start with an additional teaspoon and continue to gauge if I need more as the sauce thickens. Recipes look great! Thank you so much for posting these. I’m always looking for tasty meals. BTW.. I’m a KC girl too!! Thank you! So awesome you’re in KC, too! This looks amazing! All my fave food things on one plate! 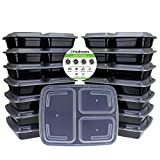 I’m totally new to food prep… how long do you think it would keep for? A few days covered in Tupperware. Looks yummy! Nitrate free bacon is lower in calories than turkey bacon?! I’ll stick with real bacon. 😊👍 I look forward to trying this recipe asap! I have a tree but allergy in my house. Can I just use regular 2% milk in place of the almond milk? You can use any milk.